Pre-teens and teens ages 12 to 17 work alongside Museum staff throughout the summer, sharing programs and exhibits with visitors. This is a great opportunity to serve your community while making friends who also love the Museum! All Junior Volunteers are trained and supervised. However, all Junior Volunteers must be able to work independently because supervisors cannot be present at all times. 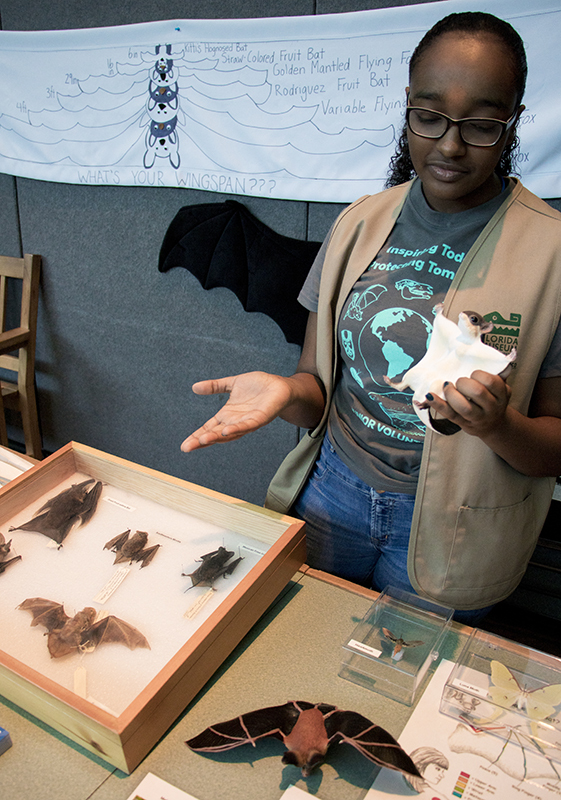 A variety of positions are available, including Discovery Cart attendant, Discovery Zone assistant, camp teacher’s assistant, exhibit docent and collections assistant. The JV Program runs on an annual calendar beginning in January when applicants may apply for the coming summer. Thank you for your interest in the 2019 Junior Volunteer Program. All applications are due no later than 5 p.m. on Friday, Feb. 15. Applications are also available at the front desk of the Florida Museum (Powell Hall). Update: The application period for the 2019 season is now closed. Thank you to everyone who applied. All new applicants who submitted applications by the deadline have been emailed their interview schedule. Please check your spam folder if it is not in your inbox. If you still cannot locate it, please email ahester@flmnh.ufl.edu. 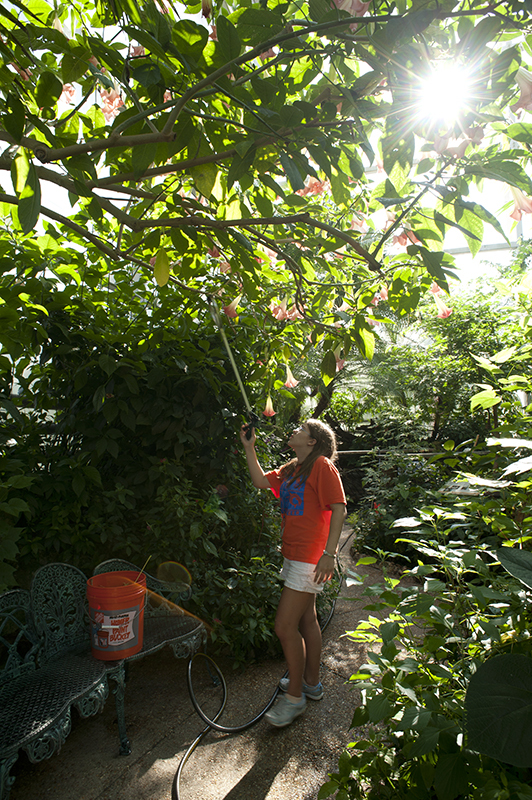 Junior Volunteers assist in the “Butterfly Rainforest” exhibit. 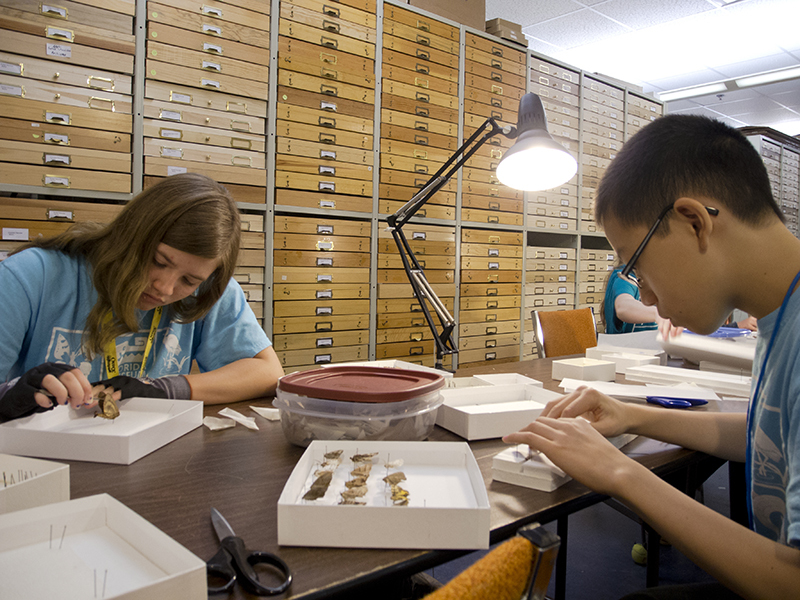 Junior Volunteers work behind the scenes in the Lepidoptera collections. A Junior Volunteer speaks with a visitor while working as a Discovery Cart attendant. 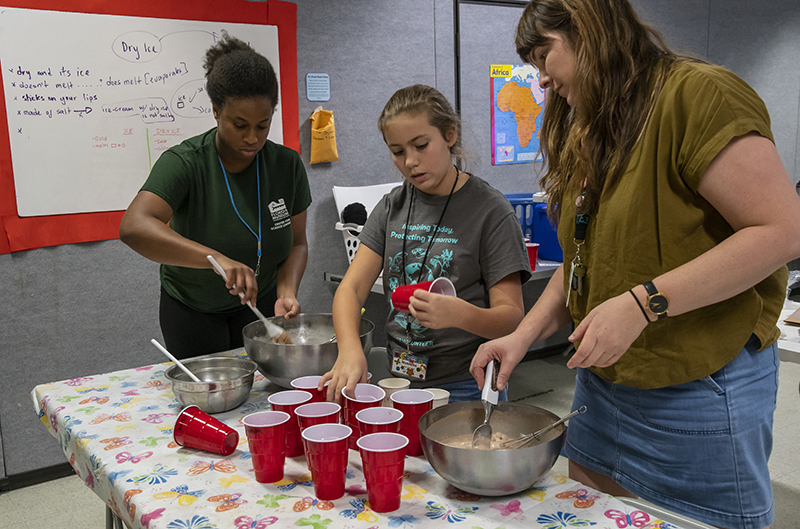 Junior Volunteers work as camp teachers’ assistants. 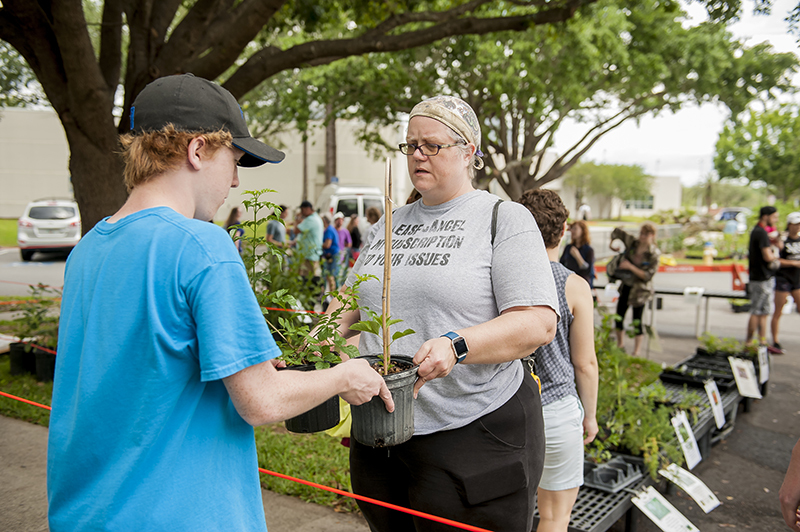 A Junior Volunteer assists a customer during the Spring Plant Sale.